The Datatool motorcycle security cover is the first and only cover that warns potential thieves that there may be a security system fitted to the motorcycle. 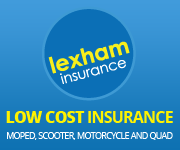 Bike Covers will not normally allow the motorcycles immobiliser or alarm LED to be visible. The Datatool motorcycle security cover, however, comes complete with a highly visible ‘Datatool Security Protected’ decal on both sides to warn away thieves. The cover itself is waterproof and breathable, with a large reflective strip for safe use whilst parking on the road. The Datatool motorcycle security cover doesn’t just help protect your machine from the elements but acts as an extra layer of visual security.